Hundreds of people visited & experienced the Christmas story brought to life online last year, and for Christmas Alive 2015, by popular demand, we’re again going to be holding a live version of Christmas Alive on Saturday 19th December, from 4pm-6pm. 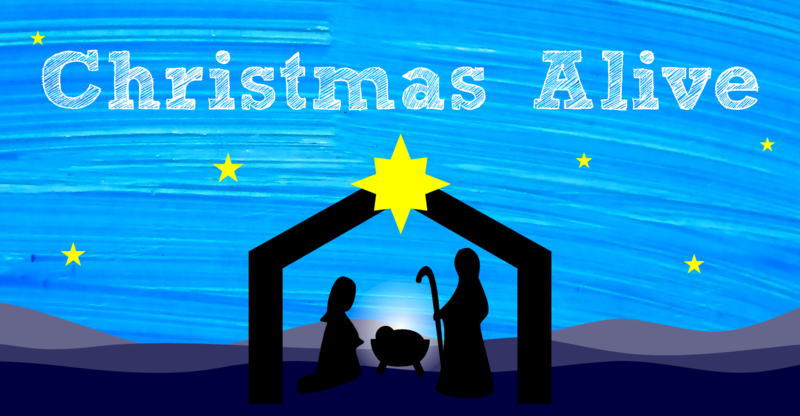 Come along, and you’ll be able to experience the Christmas story come to life. There will be live animals & live actors, allowing you to interact and find out more about the Christmas story. Meet the shepherds, Mary & Joseph, King Herod, and the wise men, with the opportunity to ask them questions, and find out a bit more about how the characters in the Christmas story thought & felt about what they experienced 2000 years ago, and how it’s still relevant today. And if you can’t make it for our live event, then we’ll also be running our online interactive Christmas Alive website again throughout December. Visit Christmas Alive Online, and you’ll be able to journey through the Christmas story, hearing from each of the characters as you go, leave questions for them, and get replies back! So however you choose to visit Christmas Alive this year, we hope that you’ll find a little time to experience the Christmas story come to life.